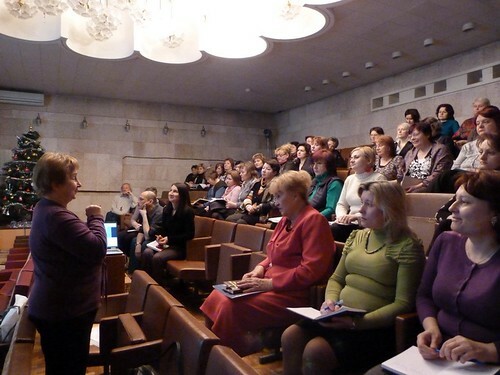 In late 2011, the Ukraine Library Association organised a number of cascade workshops as part of the Building Strong Library Associations programme. The workshops, in Kyiv, followed a series of cascade activities including workshops at the 2011 conference in Crimea and in Kharkiv. On December 20, 20 librarians from various Kyiv libraries - public, university, and national - participated in the BSLA workshop. The workshop focused on effective partnerships including partnerships with publishers. This workshop was included in the program of the International Kyiv Book Fair organized by the State Committee of Ukraine on television and radio. 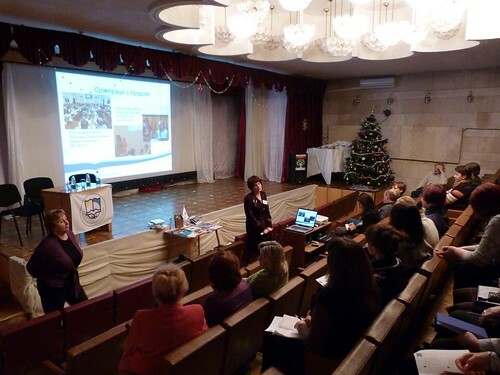 On December 28, another BSLA workshop was held for 50 librarians at the National Library of Ukraine for Children. The workshop focused on Module 1: Library Associations in Society: An Overview. At both workshops, theory from the BSLA modules was combined with examples of best practice from the Ukraine Library Association and other associations.